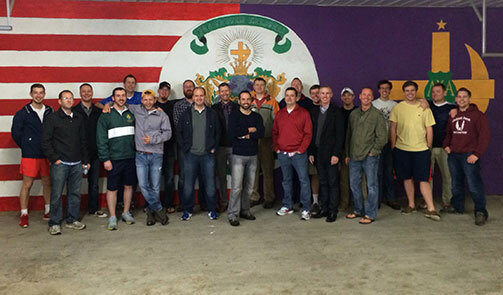 WELCOME to PhiPsiZeta.Org, home of the Alumni, Undergraduates, and Friends of the Phi-Psi Zeta of Lambda Chi Alpha at Truman State University in Kirksville, Missouri. To find a Brother, enter his first name, last name, or his initiation number. As always, we welcome your feedback. If you have ideas for the site, please send your comments to webmaster@phipsizeta.org. Purple, Green, and Gold 2019 is underway, learn more here. Get bi-weekly updates from the High Rho, Bricks and Mortar. If you're a member, login in order to access all the features, including the on-line membership database and live alumni information updates!